With a few exceptions (mainly the desperately boring European Grand Prix at Valencia) 2011 has been a superb series of races. And of course we did have the rain factor in Hungary, but the excitement was already there, it was just the icing on the cake. Jenson Button: What a great way to celebrate your 200th Grand Prix and the place where Jenson won his first race back in 2006. Jenson may not be Alonso material, but he’s a great character and on his day, unbeatable. It could have been very different, I actually think he may have pitted if he’d been in front of Lewis when the rain started to come down, but that’s conjecture on my part. A great result and who knows what will come next. Sebastian Vettel: Although he didn’t win, he was ahead of both his main rivals for the championship – Lewis and Fernando. This was a good championship banker for Sebastian and still makes him the favourite. He is now almost 100 points ahead of both of them (notice I haven’t put Mark Webber down as a rival), and that means they need to win four races with Seb not picking up a single point to overtake him. Not very likely. Martin Whitmarsh: Martin has come in for a bit of stick regarding McLaren’s performance, I have no idea why, as he is doing a brilliant job. McLaren have prided themselves on being the only team that can run two ‘number one’ drivers, however this has often been at the cost of much intra-team rivalry and friction (Senna/Prost; Hamilton/Alonso), and it has to be said that Ron Dennis’s partial approach to drivers has often appeared to fuel such tensions. Martin Whitmarsh has a different style and one which is about fairness, balance and the team. Undoubtedly there is a good relationship between Jenson and Lewis, but it is the team approach that will either build or destroy this, congratulations to Martin and McLaren for giving us such great racing yesterday. If McLaren had used team orders it would have been so much more boring and we wouldn’t have seen the best of Jenson or Lewis. Lewis Hamilton: It was a big shame for Lewis as he deserved a far better result than he ended up with, but he took the outcome with stoicism and for that he probably should have been a winner as well! There is much more to come from Lewis in the second part of the season. Team Orders: Towards the end of the Hungary race I was reminded of Austria 2002, the day when Jean Todt, oblivious to the views of F1 fans across the world decided to get Rubens Barrichello, who had outdriven Schumi all weekend, to pull over and allow the Schumi-meister to win the race. Undoubtedly Todt’s motives were sincere and for the benefit of the team, but in reality they did far more damage to the team and their lead driver. Contrast this with Lewis and Jenson fighting tooth and nail for every last piece of the abrasive Hungaroring circuit and you realise how much racing team orders can destroy. Let’s hope all teams reflect on this and think how they can get the best out of everyone and put on great racing, because that was what we witnessed yesterday. It was interesting to see the very negative way in which the FIA’s approach to the Bahrain decision was viewed by a number of UK journalists who have been tweeting on the subject. There can be no doubt that had Max Mosley been President of the FIA the style would have been very different with pronouncements and impromptu press conferences on the developing situation. Jean Todt has a very different style and one which recognises that the FIA had effectively outsourced such decisions back in 2001 when it leased the commercial rights to FOM for ninety nine years, in response to an EU investigation into competition which required them to separate the governance and commercial aspects of the sport. In this sense the decision whether or not to hold a particular race is down to CVC Partners’ Formula One Management run by Bernie Ecclestone, and not the FIA (unless it is done on safety grounds). It is for this reason that the FIA has taken very much a backseat, although there has probably been a lot of background diplomacy involved. In essence this is far more about leadership style than substance, Max leading from the front, although not always being followed by everyone, and Jean Todt working behind the scenes and standing back from the spotlight. Both can be effective, but get results in very different ways. Are we on the verge of another FIA, FOG, FOTA war? There is no doubt that the 2010 Formula 1 season has been one of the best in the history of the sport. Five drivers and three teams all vying for the world championship, fantastic races (with the exception of Bahrain), the results very hard to predict and a paucity of the kind of off-track politics and scandal that dogged 2008 & 2009. However, I am sorry to say that I doubt that 2011 will be to the same standard, and I’m not referring to the racing here, but things are beginning to simmer gently between FOTA, FIA and FOG and are likely to start boiling over in 2011. The history of F1 can be described as brief periods of calm punctuated by major disputes and upheaval and such periods of upheaval are normally characterised by power struggles and it looks like we might be entering another one in the run up to the 2013 Concorde Agreement. We essentially have three protagonists involved, FOTA, led by Martin Whitmarsh who represent all twelve teams (and the number seems unlikely to exceed twelve in the build up to 2013), FIA led by Jean Todt who represents the regulatory body and who ultimately control the sport of Formula 1 and FOG led by Bernie Ecclestone who are the commercial rights holders for F1, on behalf of FIA. 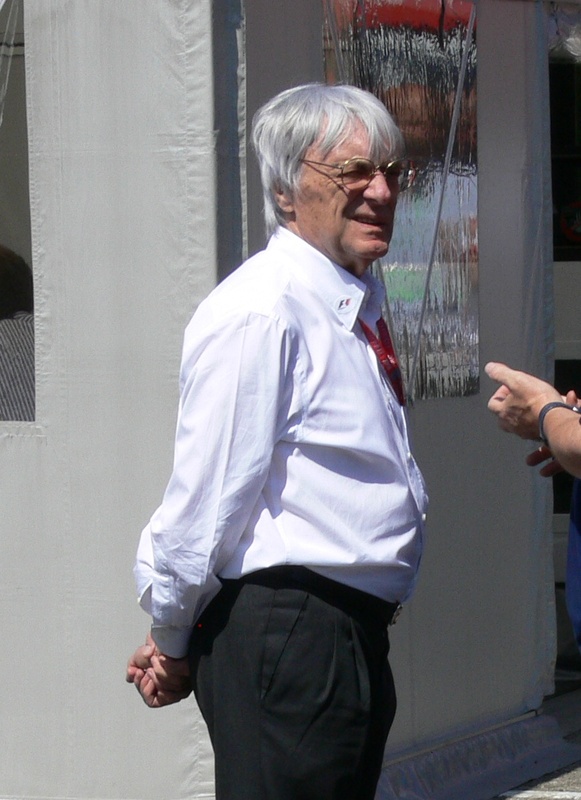 A sudden peace broke out between the parties in 2009 when the threat of a breakaway FOTA series was averted by all three reaching agreement to move forward together on the basis of a variety of conditions, one of which was that Max Mosley, then President of FIA, would step down and not seek re-election. But that was last year and now attention is focused on the commercial and technical arrangements that need to be agreed from 2013 onwards. Given that it would be better for all involved to get agreement in place sooner rather than later, that doesn’t leave a lot of time, and it is likely that 2011 will be the year that most things get agreed, if they get agreed. So the message is pretty clear (he’s probably had coaching from Rob Smedley on giving coded messages), if we don’t like your terms FIA and FOG, we can go off an do ‘Grand Prix’ racing, and we’re big enough to do it if we want to. Let battle commence (or rather continue). Sir Frank Williams is one of the grandees of Formula 1, with the departure of Ron Dennis he is certainly the elder statesman amongst the team principals. Frank’s continued presence at Grand Prix mean that we sometimes forget that he is one of world’s longest surviving quadriplegics. He severed his spinal cord between cervical vertebrae C6 and C7 in a car accident in 1986 and has been paralysed from the shoulders down and confined to a wheel-chair ever since. The Superman actor Christopher Reeve survived for less than ten years as a quadriplegic after a horse riding accident in 1995, Frank is still going strong after nearly twenty four years. Even so life is not straightforward for Frank, he cannot cough, sneeze or laugh, he needs constant nursing care and even activities you and I take for granted, like talking, take a lot out of him. Therefore when Frank makes a statement it is not something he does lightly and he recently made a statement about KERS – The F1 Kinetic Energy Recovery System that allows F1 cars to store energy created while braking in a battery and then apply a short power burst of around 80hp when the driver needs it by means of an electric motor. KERS was used in 2009, but only McLaren and Ferrari were able to get their systems competitive, it could also be argued that the failure of the BMW system was one of the reasons why they pulled out of F1 that year. Williams went down a different technological route, developing a mechanical rather than an electrical system which uses a flywheel to store the energy, they have also set up a separate business – Williams Hybrid Power with which to exploit the technology. Williams clearly believe that KERS is here to stay. It was agreed amongst the teams that they would not use KERS in 2010, but if it is to come back in 2011 then agreement between the teams needs to be secured pretty quickly. The fact that Sir Frank is making a statement (in support of KERS) suggests that (as expected) there is not full agreement amongst the teams as to whether or not KERS should come back in 2011. Of course the biggest argument against is that it will increase costs with the teams having to engineer in KERS to their new cars, it is inevitable that there would be some level of cost increase, but F1 has already worked through the expensive bit of developing systems that work, the argument is more likely to revolve around whose system is used and when it is introduced. In my view it can’t come soon enough, F1 cannot afford to be seen to be behind the times technologically, yes it is about the show and the racing, but technology is a big part of the F1 brand, without which it would not be the wealthy sport it is today. Jean Todt has emphasized that his FIA Presidency will place emphasis on strategic issues with sustainability being pretty high up the list, it will be interesting to see if he is able to find a way forward to ensure that KERS remains. Let’s hope sense prevails and we see the return of KERS in 2011. Jean Todt is the new man at the helm of the FIA, almost two years after stepping down from his position as CEO of Ferrari. Todt has a reputation for hard work and real commitment to whatever role he takes on, he was certainly the major architect of the transformation that took place at Ferrari in the mid and late nineties, let’s hope he can bring a similar transformation to Formula 1 and move it forward after what has been a very difficult year for the reputation of the sport. One of the aspects of Formula 1 that has troubled me for some time has been the development of Team Principals getting involved in driver management. It seems to be such an obvious conflict of interest, and I hope that with the fallout from the Renault judgement we will see an end to this practice. Jackie Stewart was one of the first drivers to get a professional agency to manage his affairs. In 1968 he signed to Mark McCormack’s IMG group who appointed a very young Martin Sorrell (who went on to found and become CEO of the WPP Group) to look after Stewart. But even before this drivers had managers to handle their affairs – Bernie Ecclestone managed Austrian Jochen Rindt up to his fatal accident in Monza in 1970. But in recent times we have seen Team Principals getting more involved in the process, with Flavio Briatore managing a number of the current drivers through his company FFBB. Two were employed by his own team (Fernando Alonso and Nelsinho Piquet Jr.), and others employed by McLaren (Heikki Kovalainen) and Red Bull Racing (Mark Webber). Clearly this gave Briatore a great deal of power and knowledge in the goings on of the drivers market, but it was a fundamental conflict of interest with his role of Team Principal of Renault F1 as was highlighted by the whole sequence of events that led up to ‘Crashgate’, it is inconceivable that an independent driver manager would have acquiesced to his charge (and major asset) deliberately crashing his car. 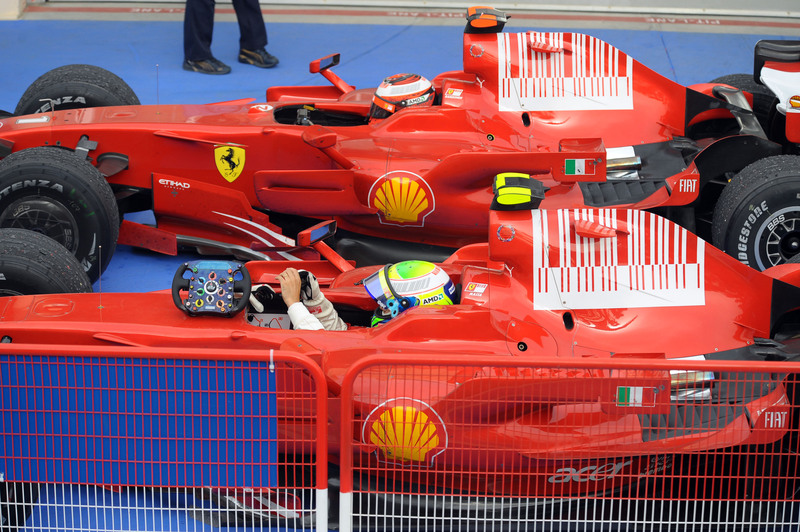 There was also a similar situation at Ferrari with former CEO Jean Todt’s son Nicholas managing Ferrari driver Felipe Massa as well as former Toro Rosso pilot Sebastian Bourdais, perhaps it was Luca di Montezemolo that did the negotiating with young Todt regarding Massa’s contract, but either way it suggests a possible conflict of interest. If there’s one good thing to come out of the Renault debacle it will be if the FIA makes a clear ruling that we no longer see Team Principals managing drivers.